GREENSBORO, N.C. - The Carolina Dynamo, one of the most-storied USL franchises, has rebranded as the North Carolina Fusion U-23’s for their 25th USL League Two season in 2019. "As we continue to grow as a league, we are always refreshed by clubs that define the player pathway through the youth game," USL League Two Vice President Joel Nash said. "The NC Fusion U-23's have done that in a tremendous way, and I am confident that the club will continue to carry out the traditions laid forth by the Dynamo that have made this organization so successful over the years." Based in Greensboro, North Carolina, the Fusion U-23's will continue to play all of their home matches at Macpherson Stadium, which has housed the team since 2002. “This is a very exciting time and a brand-new era for the Dynamo, now the NC Fusion U-23’s,” North Carolina Fusion U-23 General Manager Scott Zapko said. 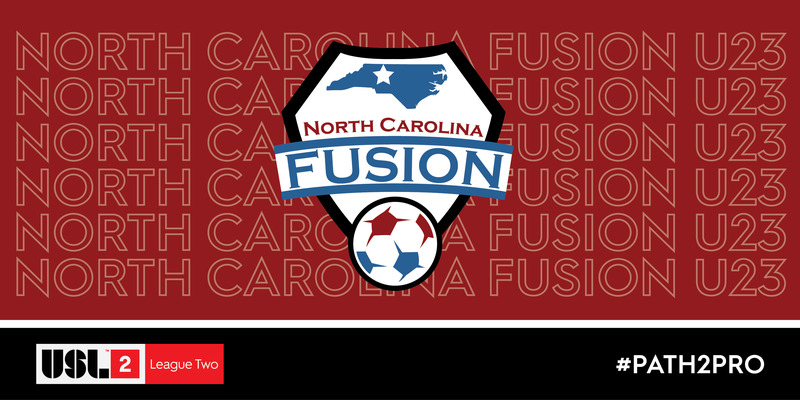 “Competing as the NC Fusion U-23’s gives us a direct and very real connection to one of the most established youth clubs in the country and some 6,000 families. The Fusion have established a long-running foundation on the youth side, with a number of programs designed to help grow the game in the greater-Greensboro area. Meanwhile, the organization's structure is spearheaded with both League Two and WPSL teams at the top to provide the NC Fusion youth players with a pathway to the pre-professional and collegiate, as well as potentially professional levels on both the men's and women's sides of the game. Throughout the history of the Dynamo (now NC Fusion U-23's), 85 players have been selected in the MLS SuperDraft after playing for the Dynamo, while many other players have gone on to play at the professional level. Ahead of the 2019 season, the NC Fusion U-23's have announced several strategic sponsorships, including Go-Forth Pest Control -- NC Fusion's primary sponsor across all club entities -- and adidas -- the team's official jersey provider. Additionally, Natty Greene’s will serve as the official brewery of the club, supplying beer at all home matches at Macpherson Stadium. The NC Fusion U-23’s will compete in the South Atlantic Division which currently features Lionsbridge FC (Newport News, VA), NCFC U-23’s (Cary, NC), Tobacco Road FC (Durham, NC), Tri-Cities FC (Johnson City, TN), Virginia Beach FC (VA. Beach, VA) & Wake FC (Holly Springs, NC). 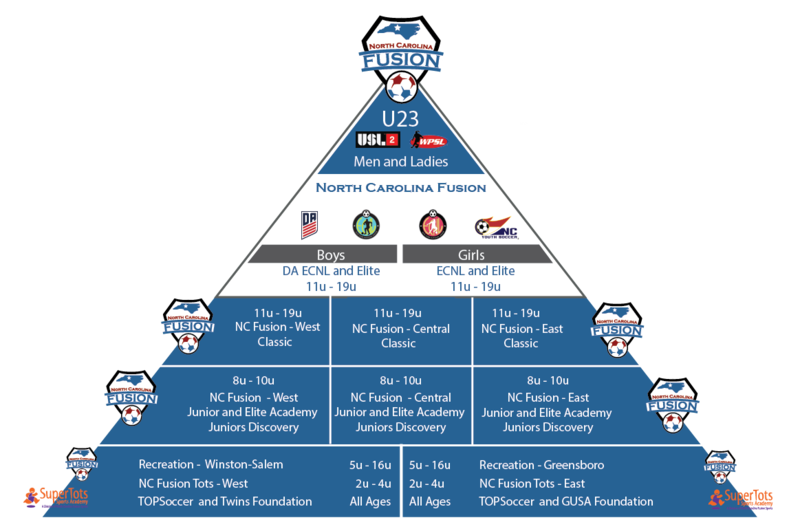 The 2019 NC Fusion U-23’s will feature former NC Fusion youth players mixed in with other top college talent from across the country. All North Carolina Fusion youth players will receive free admission all season by wearing their jersey to any home game. For more information on the club, follow the North Carolina Fusion U-23s on Facebook, Twitter and www.soccer.ncfusion.org. The developmental leader in North American soccer's evolving tiered structure, USL League Two features 72 teams within four conferences throughout the United States and Canada. USL League Two has proven to be an important stepping-stone for top professionals, with nearly 70 percent of MLS draftees since 2010 having League Two experience. A number of League Two members are owned and operated by a professional club, or hold a partnership with a professional club. League Two provides elite collegiate players the opportunity to taste a higher level of competition while maintaining their eligibility. In addition to league play, League Two teams compete in the Lamar Hunt U.S. Open Cup as well as various exhibitions.